Now we know that designers love the Ipad and we have tried to make sure that Greenhousefabrics.com works well with it, but you can't always be online. Sometimes wifi isn't available or maybe the building your in is blocking your 3G coverage. 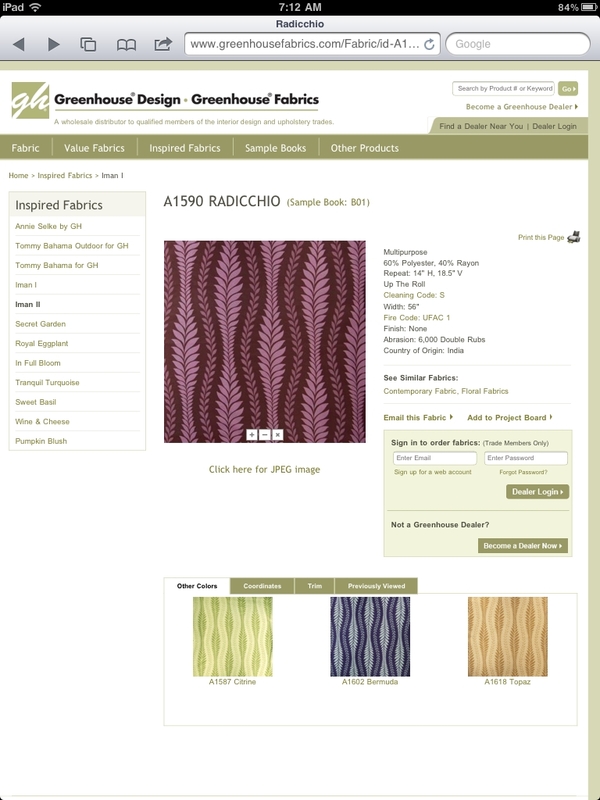 Most of you probably know what to do when you need to save a photo of a fabric to use later but we will recap below. 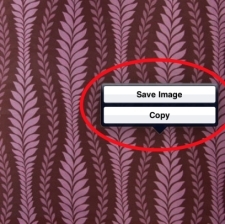 Go to the page with the fabric that you are looking at saving, then click the button "click here for JPEG image", then once the following page loads, click and hold your finger on the image, this will bring up the option to "save image" or "copy". 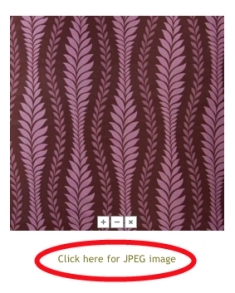 If you click "save image" the file will be saved to your photos app on your Ipad. When you bring up the image it will appear as below! 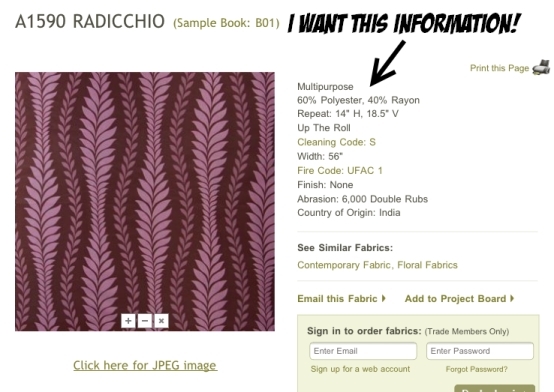 This is great to save an image of the Fabric, but sometimes you want to save all the information. 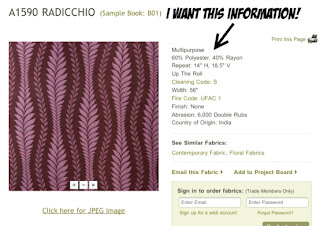 If you bring up the main page for the fabric you are interested in and then click the power button (the button on top that locks your Ipad device) and the Home button (on the bottom center of the front of the device) at the same time you will take a screen capture like the one below and it will be saved to your photos app automatically!